John, an Edwardsville resident, is 38 and worked as an engineer for KTRS Radio Station. In February he started feeling ill and went to the doctor. What was first diagnosed as double pneumonia was later determined to be H1N1. After being airlifted from Anderson to Barnes, he was in ICU for six months and placed on the list for double lung replacement. That transplant occurred July 2014. John now faces pulmonary and physical therapy at Barnes Hospital five days a week, four-to-five hours per day. ENIN assessed the family’s need and were able to supply financial assistance by paying some pressing bills that had compiled, including a small remaining balance on his car loan. All of this in effort to alleviate some stresses during recovery and until John returns to work. 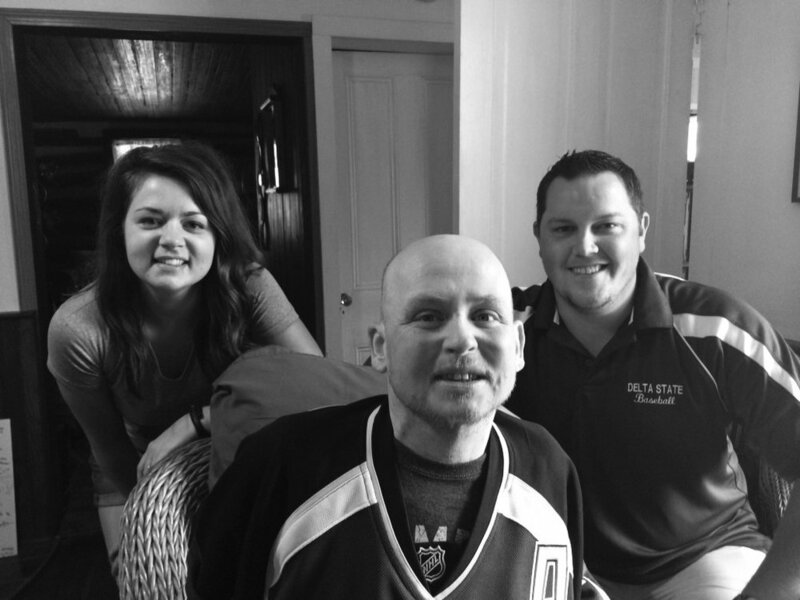 John’s friends were also coming to his assistance by hosting a trivia night on Sept. 6 at the Legion in Edwardsville. His colleagues at KTRS in effort to advertise the event on the radio gave ENIN quite a compliment…hope you’ll take a listen.